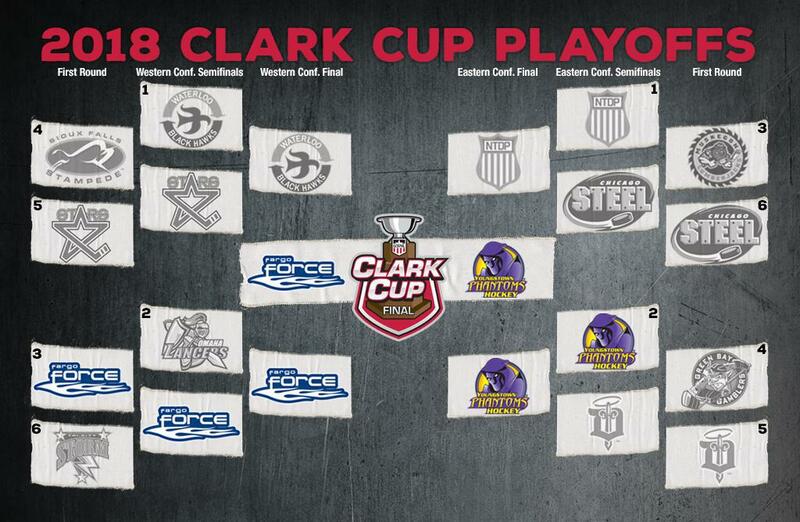 Here’s what you need to know about the Clark Cup Playoff Format, the teams in the playoffs, playoff dates and more!
. 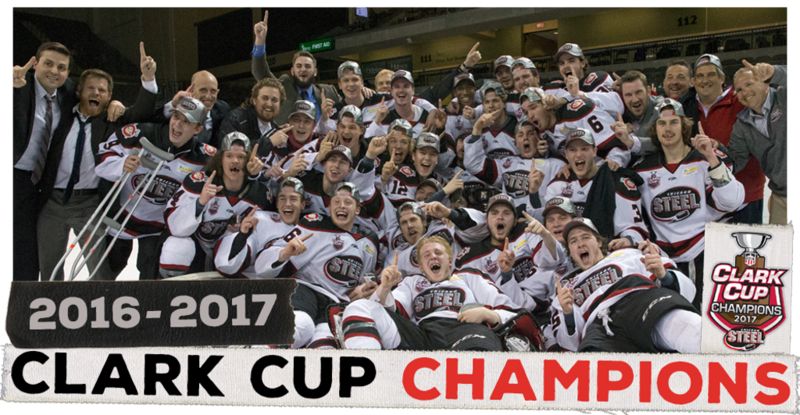 @vidgrn sends the @ChicagoSteel to the Eastern Conference Semifinals! 1. How many teams qualify for the Clark Cup Playoffs? The top six teams in each conference qualify for the playoffs. 2. What is the playoff format? 3. When will the playoff games be played? Please note that this is subject to change due to building availability and travel, so make sure to check ChicagoSteelHockeyTeam.com for the schedule for each playoff series which will be announced when the matchup is officially determined. 4. When will playoff tickets go on sale? Playoff ticket packages are on sale now through the Steel Pay As We Play program. This ensures the same seat to every Clark Cup Playoff Home Game. The Steel also offer a March Madness package that guarantees FREE playoff games with the purchase of a new season ticket plan (starting at just 5 games) for next season. Single-game playoff tickets will be on sale prior to each series. Please continue to check ChicagoSteelHockeyTeam.com for announcements on playoff ticket on-sale dates for each round. 5. What is the Clark Cup? The Clark Cup is symbolic of supremacy in American junior hockey, presented annually to the playoff champions of the nation’s only Tier 1 circuit, the USHL. It is named in honor of Don Clark, the long-time registrar of the Minnesota Amateur Hockey Association. 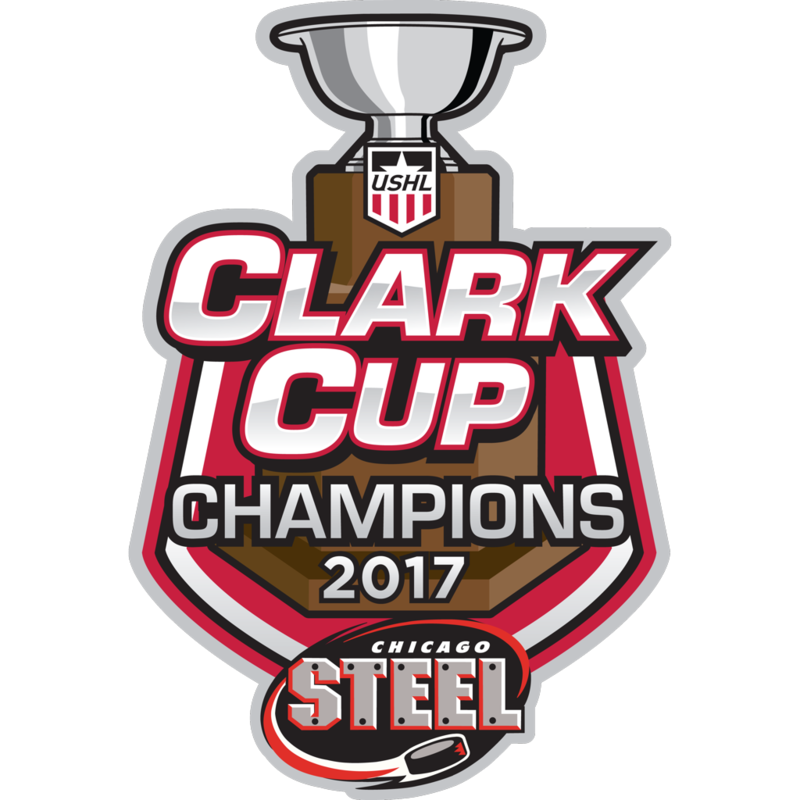 The Steel won the Clark Cup for the first time in 2017, defeating the Sioux City Musketeers in Game 5, 2-1 in overtime, May 23 at Tyson Events Center in Sioux City, Iowa. Tyler Gratton scored the Cup-clinching goal 11:30 into overtime.